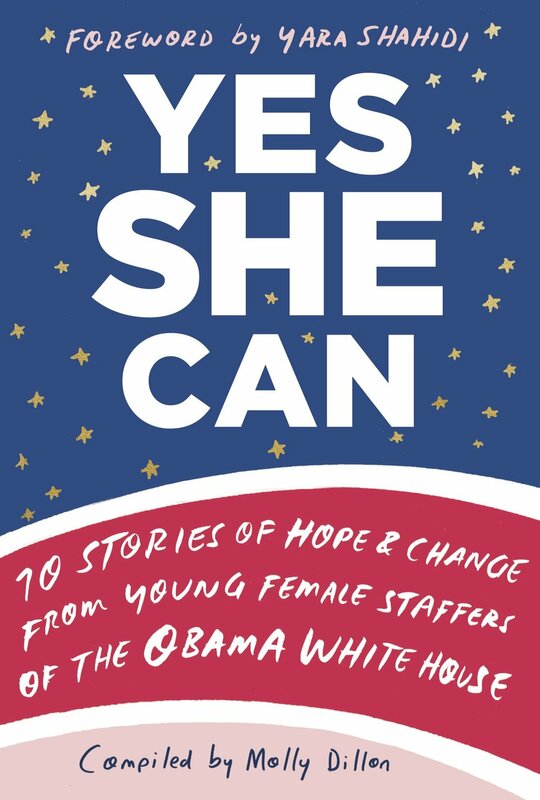 YES SHE CAN is a book recently written by 10 inspiring young staffers who joined Obama's administration in their 20s with the hope of making a difference. The book is an intimate look at Obama’s presidency through the eyes of some of the most successful, and completely relatable, young women who were there. Full of wisdom they wish they could impart to their younger selves and a message about the need for more girls in government, these recollections are about stepping out into the spotlight and up to the challenge–something every girl can do. Join JWI YWLN to chat with author Molly Dillon about her experience and perspective. Q&A to follow. Molly Dillon served in the White House from 2012 to 2017, most recently as a policy advisor for urban affairs, justice and opportunity in the Domestic Policy Council. In that role, she focused on civil rights policy, including criminal justice reform, LGBTQ rights, women’s equality, voting rights, human services, housing, labor, economic mobility, and urban communities. She previously served as an intern and a policy assistant in the same office. Originally from Highland Park, Illinois, she graduated Phi Beta Kappa with a bachelor’s degree in sociology from Johns Hopkins University and holds a master’s degree in public policy from the Georgetown University McCourt School of Public Policy. After the Administration, Molly served as a senior policy advisor in the Office of the New York Governor. She is currently the community curator and manager of programming for an international philanthropic foundation.